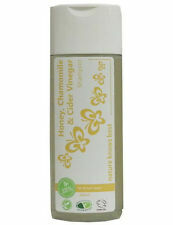 This stimulating shampoo uses honey, chamomile & cider vinegar extract and essential oil to enhance circulation to the scalp and promote optimum nutrition of the hair follicles. Apply shampoo to the hair and massage to the scalp gently. 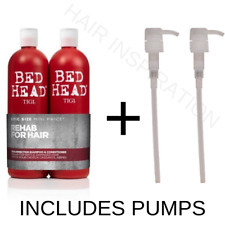 1 x TIGI Bed Head Resurrection Shampoo (750ml) -. 1 x TIGI Bed Head Resurrection Conditioner (750ml) -. Babushka Agafia. 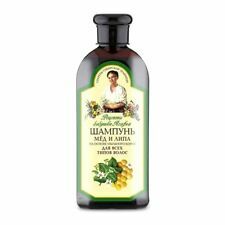 Shampoo was prepared on the basis of the original recipe Siberian herbalist grandmother Agafia. Contains Soapwort, natural, non-aggressive base washing, gently cleansing hair. Included in the composition of the extract and linden honey, nourish and strengthen the hair, easy stacking. Garlic-infused shampoo is designed to stimulate hair-growth activity in cells and help boost hair growth. Garlic component in shampoo also help in overall hair health. The herb can aid in strengthening locks, preventing and treating hair breakage and adding a nice, nourishing shine. 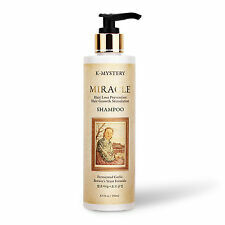 3 Minute Miracle Reconstructor 75ml. The 3 Minute Miracle Reconstructor formulawith Australian balm mint extracts. Aussie Travel Kit With 3 Mini Miracles Sizes For Your Big Adventures. Rinse out with warm water. FAST SLS and Paraben Free Shampoo 60ml. Size: 1x SLS and Paraben Free Shampoo 60ml (bottle sealed). If you have run out of Fortified Amino Scalp Therapy (FAST) shampoo then you can now buy a single bottle. It targets the source of dandruff with a maximum-strength ingredient for relief of even the toughest symptoms. It leaves hair feeling soft and vibrant and reduces flakes that can spoil your appearance. Expect cleansed, softened strands with enhanced shine from root to tip. Need help or advice?. View Related Products. Neutralizes yellow stains that often arise in gray, white or blonde colored hair. A complex that acts directly on the dermal papilla, favoring the growth of stronger, more resistant hair. Alfaparf Semi Di Lino Scalp Care Balancing Shampoo 250ml for Oily Hair. -45% of hair loss . More resistence of the hair for 75% of the subjects . Set of Tar Birch shampoo+1 soap Anti-Dandruff 250ml Дегтярное мыло +шампунь! Tar soap for hair is very useful for all those who have scabies and itchy scalp, profuse dandruff, and, also, increased fat content of the skin. Set of Tar Birch shampoo 1 soap Anti-Dandruff 250ml Дегтярное мыло 1 шт. GARNIER Ultimate Blends. Colour Illuminator Shampoo 250ml. The Colour Illuminator: our ultimate care blended for naturally beautiful hair. with love in uplifting formulas, crafted to lock in vibrancy and keep coloured hair soft and shiny wash after wash. Range: Dercos. Greasy/oily hair can be caused by over-active sebum production, which can cause discomfort of the scalp. Hair is often left looking limp, dull and lifeless. Hair feels lighter and easier to style. A professional quality clarifier that removes styling product buildup, mineral deposits and chlorine, which can alter hair colour or inhibit chemical services To use: Massage into wet hair to form a lather. Capacity: 1000ml. Joanna Professional Acidifying shampoo is designed for professional hair care in hair salons. Apply a small amount of shampoo to wet hair, gently massage in and then rinse with lukewarm water. Dollylocks - Dreadlocks Shampoo Bar - Nag Champa (4.5oz/127g). About Dollylocks Dollylocks Hair Studio. Dollylocks is the leader in the professional field of Dreadlocks and Hair Extensions. Dreadlocks Shampoo Bar. Clarifying Shampoo Three (Removes Chlorine and Impurities) 300ml. A deep cleansing & clarifying shampoo. Washes away chlorine iron minerals & impurities. Paul Mitchell. 250ml Bottle. • Size: 250ml. Shampoo (22). Can also be used as a toner after the bleaching process. Hair Colour (243). Hair Removal Kit (65). • The perfect partner in creating a clean blonde base for vivid colour application. High-performing formula to maintain the intensity and shine of the Orofluido Colour service. pH-balanced formulas that seal the hair cuticle to make it more resistant and promote colour retention. No added parabens. KALLOS HAIR PRO-TOX HAIR MASK (1000 ml). KALLOS HAIR BOTOX SHAMPOO (1000 ml). KALLOS HAIR PRO-TOX HAIR MASK -Its special hair botox formula- with keratin formula,collagen. Kallos Hair Botox Shampoo with Keratin, Collagen and Hyularonic acid. TINGLE SHAMPOO. Rasta Locks & Twist products were developed from an ancient Jamaican recipe used by. Made from an ancient Jamaican recipe used by Rastafarians to help start and. Protein Conditioner. and is made with all natural conditioners. THIS SHAMPOO IS FULL OF THE POWER OF THE MORINGA TREE. THIS IS AN AMAZING TREE THAT CAN BE USED AS A VALUABLE SOURCE OF NUTRITION AS IT CONTAINS GREAT AMOUNTS OF VITAMINS, MINERALS AND PROTEINS. THE MORINGA OIL WILL HELP REPAIR AND STRENGTHEN THE HAIR FOLLICLES TO REVITALISE HAIR AND REDUCE HAIR LOSS. Suitable for all blonde hair regardless of whether it's natural or bleached, this gentle shampoo will effectively cleanse away dirt, excess oil and impurities, leaving your hair looking clean and lustrous. Dollylocks - Liquid Dreadlocks Shampoo. About Dollylocks Dollylocks Hair Studio. Dollylocks is the leader in the professional field of Dreadlocks and Hair Extensions. Liquid Dreadlocks Shampoo. To Use: Wet hair. Xpel Hair Care. Using a blend of mild surfactants with anti-dandruff and dermo-cleansers, with regular use, this shampoo will help to provide effective relief from the above conditions. Itchy & dry scalp. The hair is cleansed and the shampoo leaves the hair looking smoother and silky without a weighed down feeling. Distribute the shampoo evenly through your wet hair and lather. Rinse thoroughly and repeat the process for an extra targeted cleanse. Thick herbal shampoo Agafia for strengthening. Thick shampoo Agafia for strengthening, it strengths and stimulates the hair growth. Special Herbal Thick Shampoo - strengthening. Aleppo Soap. Marseille Soap. Free of SLS/ SLES sulfates for instant translucent colour reflexes and gentle cleansing. Direct dye formulation for temporary colour lasting up to 5 washes. Balances ph and creates new bonds within the hair fibre. Natura Siberica. The new line of products for hair and body care Siberica Professional was created on the basis of a valuable component - Sea buckthorn Altai. Marseille Soap. Sea Buckthorn Shampoo - Deep cleansing and care - for oily hair and normal. ModelMy Hair Recipe Shampoo_#Loss Care. [BODY & HAIR]. Product LineMy Hair Recipe. [SKIN CARE]. Apply adequate amount of shampoo onto wet hair and create lather as you gently massage. Rinse well until the formula is thoroughly removed from hair. NodéFluide Shampoo 400ml. Rinse thoroughly and repeat. We do our best to process as quickly as possible. With Colour Revitaliser. Colour Care Shampoo 250ml. If you’re wondering how to make hair color vibrancy last longer, the secret is using products that will nourish your colored hair. Simply apply Dove Color Care Shampoo to wet hair, lather and rinse. LA RICHE DIRECTIONS CONDITIONER & SHAMPOOS VARIOUS TYPES 1,3,& 6 AVAILABLE.